When you install staff room pool tables, you give your employees a way to de-stress during breaks, keep them stimulated and alert, and encourage team morale through a spirit of friendly competition. Pool is the perfect game for this, with rules that most people already know well and a table size that suits any reasonably mobile player and will also fit well into most good-sized staff rooms without dominating the entire room. But many employers are put off from installing staff room pool tables due to the upfront cost – which is why at Manco Automatics, we take care of the initial cost for you. We are able to provide staff room pool tables free of charge, with no upfront installation costs at all for large warehouses and staff rooms for big businesses. These free pool tables for staff rooms can be set at just 20p per game, allowing your employees to have a quick single game at a very low cost, or challenge each other to a best of three or even a best of five games for just £1 in total. It’s an ideal solution for large facilities like warehouses and logistics distribution centres, where employee break times are crucial to allow workers to relax and recharge their batteries for the rest of their shift. How can you offer free pool tables? We are able to offer free pool tables for staff rooms, common rooms and break rooms by installing for free then collecting the money from the games. 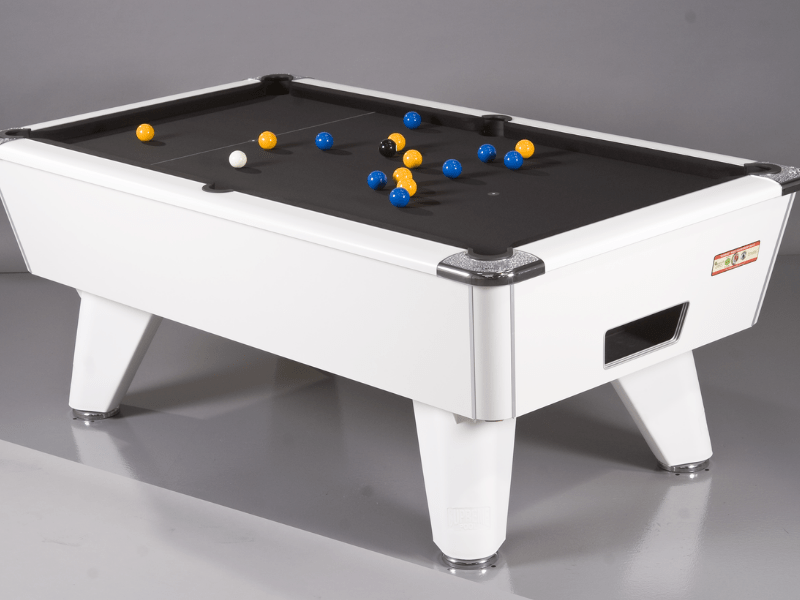 We are able to offer a top of the range pool tables absolutely free to install for staff rooms, common rooms and break rooms by collecting the revenue from the games each month. That means you don’t have to pay anything upfront for installation, and instead we cover the cost of the pool table from the money paid in by your staff each time they play a game. Alternatively, we also hire staff room pool tables out on a traditional rental agreement, where you pay a flat rental fee upfront – an ideal option if you want to offer free play mode or you want direct control over the price per play. We want to place free staff room pool tables in as many workplaces in Greater Manchester as possible in 2019, so please get in touch if you’d like to know more. Our staff room pool tables look great, with a variety of modern materials and cloth colours, and we can help you to make sure you have enough space for one in your staff room. To find out more or to ask us any questions about pool tables for staff rooms, contact Manco Automatics today.